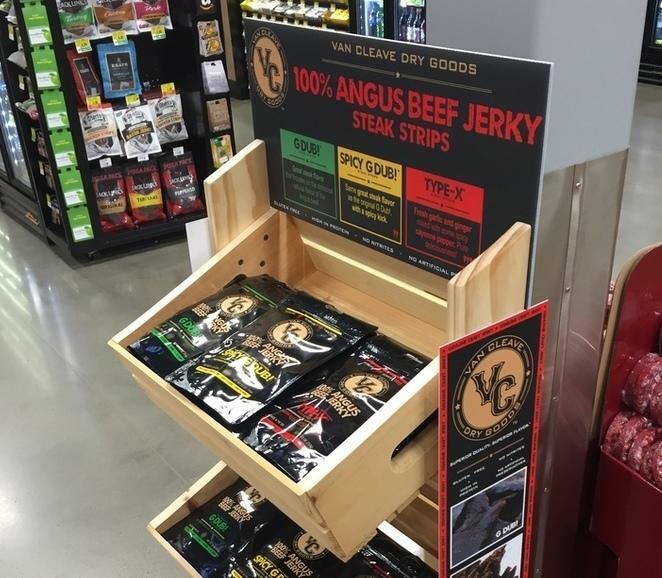 VC Dry Goods currently specializes in gourmet beef jerky. What really separates us from the crowd is that we take a unique approach to the snacking occasion. We take into account the entire multisensory experience - the smell, the taste, the appearance - as you would expect with a gourmet meal. This gourmet mindset leads us to push the flavor envelope by using ingredients that you don’t typically find in beef jerky, or snacks in general, like smoked sea salt and fresh (not dried) ingredients. 1 114% wholesale growth YOY from 2016 to 2017, with 30% overall growth. 2 Sold in 200+ locations, including Total Wine & More, Brookshire's Grocery Company, United Supermarkets/Market Street, among others. 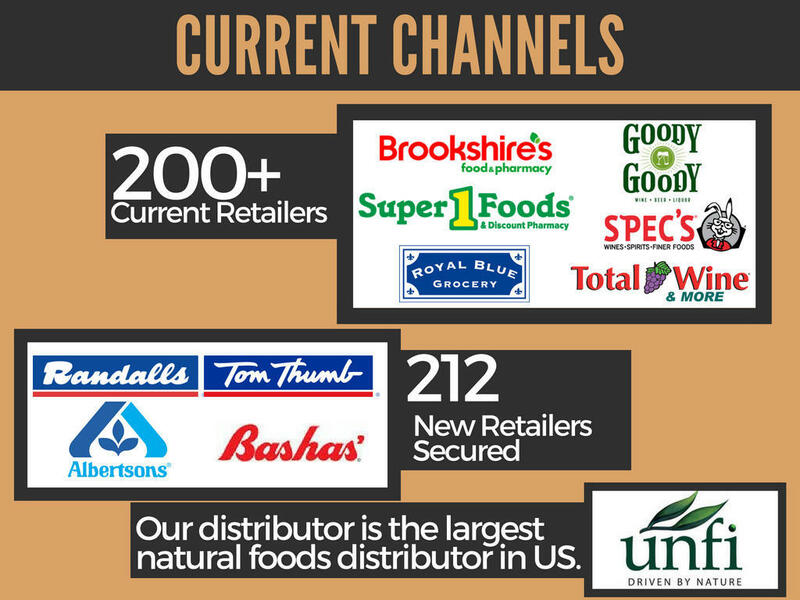 3 Distributed through UNFI, largest natural foods distributor in the nation. 4 Approved and soon to be sold in the entire Albertsons Southern Division and Bashas grocery stores. 5 Meeting with Walmart, S.E. Grocers (Winn-Dixie/Bi-Lo), and Food Lion later this year. All three already expressing interest based on samples given. 6 Currently discussing licensing agreement with Valiant Comics to debut cobranded beef jerky with release of Bloodshot movie feat. Vin Diesel. Recovering attorney. Snack food visionary. I'm not from the snack food business, but I see that as an asset. I love bringing the flavors that are typically found in gourmet food to the snack category. Excellent with operational and process management. Guru of graphic design. Manages all packaging and POS designs. Sales mastermind. Doesn't take no for an answer. Closes the deal. 30+ years of high level operational and financial experience. When I first met Adam and we discussed his products, I was skeptical. But when I tried it, I was blown away. I literally had never eaten something this spectacular! As I spent more time with Adam and understood his vision, it became clear to me this was way bigger than beef jerky. Its an approach to disrupt the entire snack category. Adam develops his products with a ruthless focus on the multi-sensorial aspects of the snack experience. He believes there should be much more to the snacking occasion. It should be savored, not rushed. He's disrupting beef jerky, and he'll win because this is literally the best jerky you will ever eat. And he plans to bring further innovation into this category, and others, like I’ve never seen before. Head of Marketing - Tata Global Beverages, US; Former VP - Innovation at PepsiCo and CMO at Firestone & Robertson Distilling. Invested in VC Dry Goods. It's difficult to find anything more to say than VC Dry Goods is absolutely amazing! It's the best jerky one can find! The flavors are amazing, and the strips don't kill my jaw. I am 16 about to be 17 and I love business! I plan on getting my MBA and hit the ground running after with a business of my own some day! Software Engineer. Founder of Signupville, a small SaaS company. 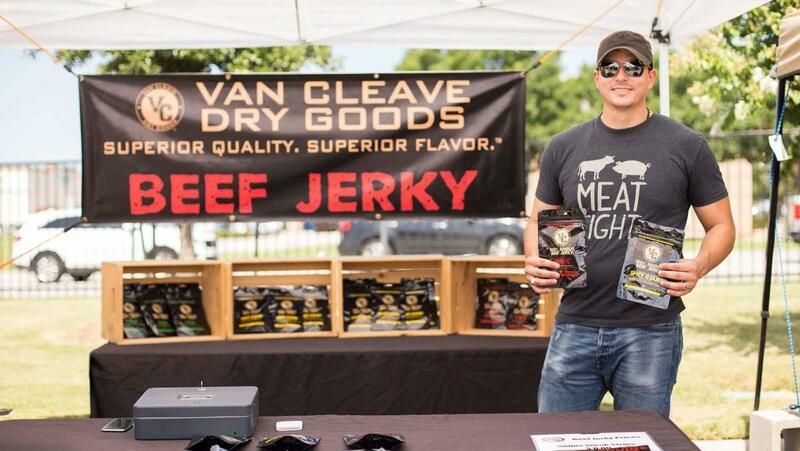 Everyone has a favorite snack, and if you asked Adam Van Cleave, beef jerky would be his first pick every time. So it's no surprise that he developed his own snack company, Van Cleave Dry Goods, with a mission to produce the highest quality Angus beef jerky on the market, Genuine Craft Jerky. Today we'd like to introduce you to Adam Van Cleave. Thanks for sharing your story with us Adam. So, let's start at the beginning and we can move on from there. For as long as I can remember, I've always been interested in starting my own business, and being an entrepreneur. We didn't have a storefront, so we had to think outside the box. We needed a place to make the goods, so we began working out of local commercial kitchens that we rented by the hour. Then, we needed place to sell the goods, so we joined several farmers markets throughout north Texas. 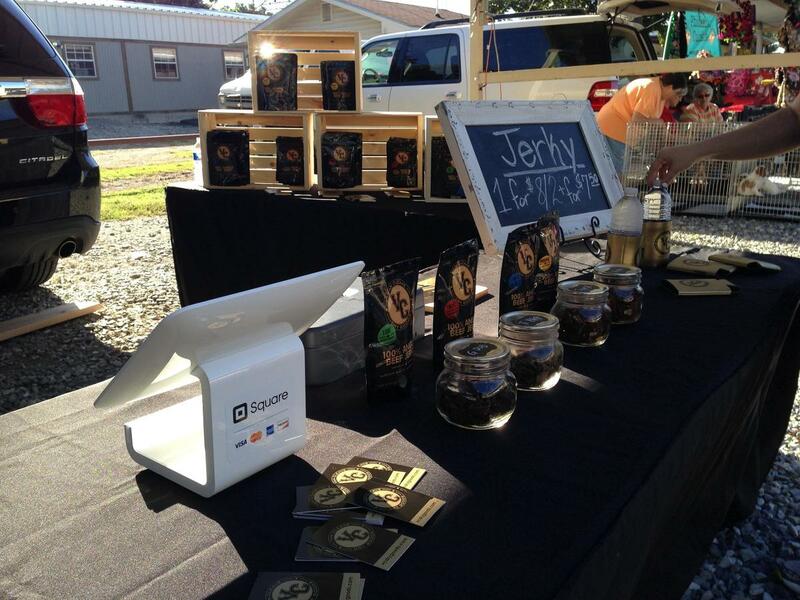 We knew we were on to something big because we were selling out almost every weekend - our jerky was a hit! While our initial business model was great because we were able to start selling fast, it had its drawbacks. Primarily, the markets were seasonal and we weren't able to sell in a wholesale capacity because of the state licensing under which we were operating. To resolve the issues, we needed a copacker. By outsourcing our production, we would be able to sell wholesale so we wouldn't be dependent on seasonal markets. It took us a while to find the right copacker because our production methods are definitely not industry standard, but to us that is a point of pride. That's why our goods aren't industry standard. While other companies are using mystery meat, artificial preservatives, and low-quality dried ingredients, we only use high-quality Angus beef, fresh ingredients, and we cure our meat naturally so there's no need for artificial preservatives. We finally found a great company that was willing to work with our unconventional methods, and we had our wholesale launch at the end of 2015. We've been growing ever since. 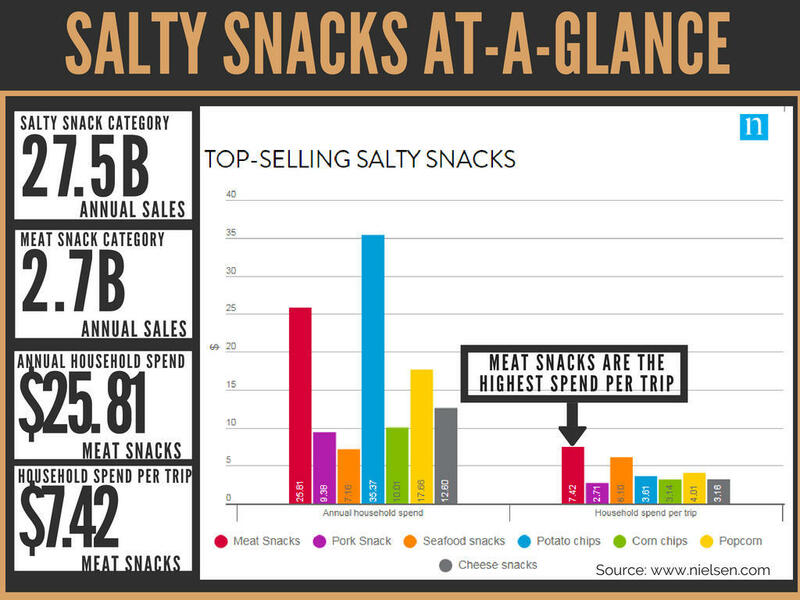 Meat Snacks are the second largest category in the larger Salty Snack category, and its growing fast. No other brand has the flavor and quality that come standard with VC Dry Goods. Among our competitors, there are established companies that have been in business a long time. However, their flavors are bland and generic, and their quality is not up to the standards of the modern consumer. There are also new companies that have their own unique selling proposition. Mainly, they have taken the approach that consumers were tired of tough jerky, which leads them to make soft jerky. Their quality and flavors are better than the large companies, but still fairly generic and only a small step in the right direction. Plus, many customers find the soft texture as mushy and unappealing. VC Dry Goods sees the problem as a quality and innovation issue. Our experience has shown that customers like a more traditional texture in jerky (cut with the grain of the meat, dry but not tough). 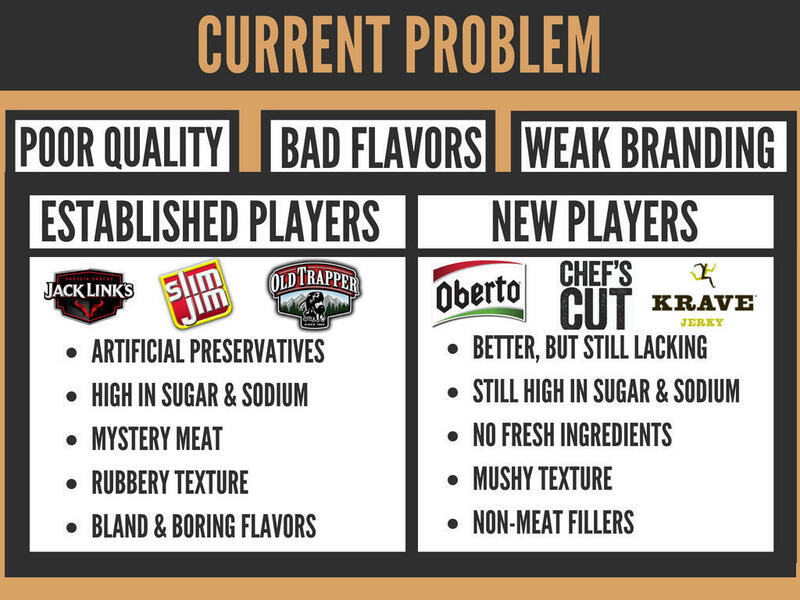 What the consumer has been wanting is real, delicious flavor, as well as new and unique flavor ideas. Every brand has teriyaki, peppered, etc., with some exceptions. We create more innovative flavor profiles, and take a multisensory approach to creating our products. Simply put, it must look, smell, and taste absolutely delicious. We accomplish this by using high-quality Angus beef with fresh ingredients and spices more readily found in a gourmet meal. In our category, growth can be rapid because our wholesale customers have hundreds - if not thousands - of stores. Growing by 200% or 300% YOY is not unheard of. We have grown as fast as we can feasibly grow with the capital limitations that we have. However, we have several meetings later this year with large companies (Walmart, S.E. Grocers, Food Lion, among others). They have already been presented with samples, and they are interested. Aside from that, we have already secured the Albertsons Southern Division (167 stores) and Bashas (47 of their stores), for new product launches later this year. We have already had solid growth, but its about to accelerate. VC Dry Goods hope to be a national snack food brand, known for pushing the limits of flavor and innovation. We currently specialize in beef jerky, but that’s just the start. We hope to expand beyond that into different areas of the meat snack segment first, then into other snack categories where we can have a disruptive impact. We also hope to create a small production facility of our own so that we can get really creative with smaller batch/seasonal flavors, and impact the segment even further. We first launched in October 2014. That’s when we were in our first farmers market, which was the only way we were able to sell at the time. We couldn’t sell in a wholesale capacity because of our licensing. It wasn’t until December 2015 that we got our first finished batch from our copacker that we were finally able to start wholesale sales. How many stores are you currently in? Just over 200 retailers. Also, we expect to double that number because we are already approved to be sold in the entire Albertsons Southern Division (167 stores) and Bashas (45 stores). At this point, we are waiting on them to issue a PO, which will expect to happen soon. We are also in talks with our current retailers to get additional stores as well. The salty snack category has annual sales of $27.5B. Meat snacks account for 10% of that, or $2.7B. We started with meat snacks because we love meat snacks, and it was the segment where we felt we could have the greatest impact right off the bat. The category is seeing incredible growth, and we feel that the competition is going in the wrong direction. However, as we grow we plan to diversify into other areas of the salty snack category where we feel the VC Dry Goods brand can have a disruptive impact. We don’t strive to fit into the snack category. When we are creating a new flavor, we don’t look to what other snack brands have done as our inspiration. We know what our competitors are doing, and don’t get me wrong, but we’re not impressed. Our inspiration comes from the executive chefs on the cutting edge of gourmet food. When I sit down for a great meal that knocks my socks off, I take notes and try to find ways to incorporate elements of that into our products. The composition of each meal may change, but there are a few basic aspects that carry over from one meal to the next. Specifically, each chef carefully curates the ingredients of their meals, they also put a high level of care into them, and they undoubtedly take into consideration the multisensory aspect of the meal. Those aspects elevate the meal into something more than just a meal - it becomes an experience. That is what really motivates us at VC Dry Goods. We want to give people that feeling when they snack. There is value in providing a better snacking experience. Can you elaborate on what you mean when you say there is a multisensory aspect to a meal or snack? When we sit down to eat a meal or a snack, or really anything we put in our bodies, there is more going on than just putting it in our mouths and chewing. There is a visual aspect when you first see it. Your sense of smell comes into play when you first smell it. Then, once you put it into your mouth, it isn’t even as simple as just tasting it. Yes, your tastebuds tell you how something tastes, but you’re also taking into account the texture. In our busy lives, we skip over all that food foreplay most of the time. One area of food in which it is still expected is in gourmet food. Every chef will focus on every aspect of their food before it is served. They carefully curate the ingredients, they take time to ensure it is prepared properly, and they make sure it looks perfect when it is sent to your table. That is how you create a great experience. In contrast, with beef jerky, most of the time you have no idea what kind of meat was used. The ingredients are all dried or artificial. Liquid smoke is used in many cases. Many brands that don’t use artificial preservatives use sugar as a substitute, which is why a flavor that isn’t sweet can still have 9 or 10 grams of sugar per serving. The result is jerky that looks awful. It tastes pretty bland, if not downright bad. The texture is usually off also. Sometimes it is so tough, you have to chew on it for a while just to get any flavor. Other times, it is soft to the point of being mushy. Meat shouldn’t be mushy. And the smell. I challenge anyone to go into their grocery store, find a bag of jerky, open it and take a big whiff of the bag. Most jerky smells so bad that it’ll make you gag, or at least recoil a little. What other food would you eat if it smelled or looked bad? That’s usually the sign to throw something out. At VC Dry Goods, we take all of that into account with our multisensory approach. When you see our jerky, it looks like a nice piece of real meat. When you smell it, your mouth might start to water and it may beckon you to grab a piece. Once you finally take a bite, we feel like the flavor is out of this world - the kind of thing you want to tell all of your friends about, and our customers do. Whether that process happens in a couple seconds or much longer, that’s up to you and how you snack, but we think the experience is far superior to the competition. That doesn’t happen by accident. It’s hard work, and you can credit the multisensory approach that we take. Right now, my main concern is capital to assist with cash flow. I remember getting our first large purchase order, which was about $25,000. 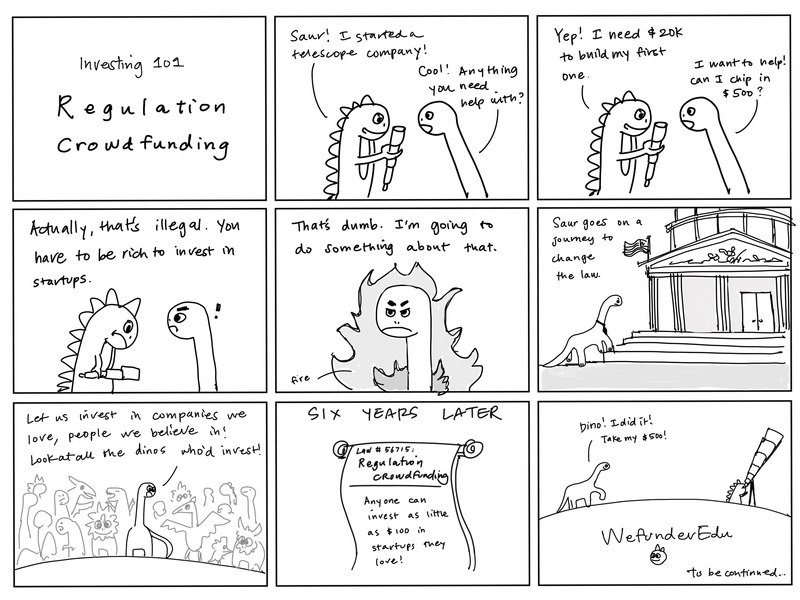 I was excited, then immediately got nauseous because I had no idea where we would get the funding to fulfill the PO. In the end, we worked it out. However, we are growing and we are getting to the point where it will be much more difficult. For example, we just finished our vendor setup with Albertsons, and our initial PO (based on our estimates) will be around 40k-50k. That’s for 167 stores. When I do the math in my head for even larger customers that have 1000+ stores, it makes me worry that we may need to turn down business if we don’t have the capital we need when we get there - and I hate lost opportunities. Does being from Texas help or hurt you? When you think Texas, what comes to mind? Beef, or oil - but you don’t eat oil. Everyone knows Texas as THE beef state, yet there is no Texas-based national brand in the beef jerky space selling whole-muscle jerky. Epic is from Austin, TX, they sell ground meat bars mixed with various other ingredients, as well as other ground meat jerky, and they’re doing well. They were acquired by General Mills for over 100 million dollars. 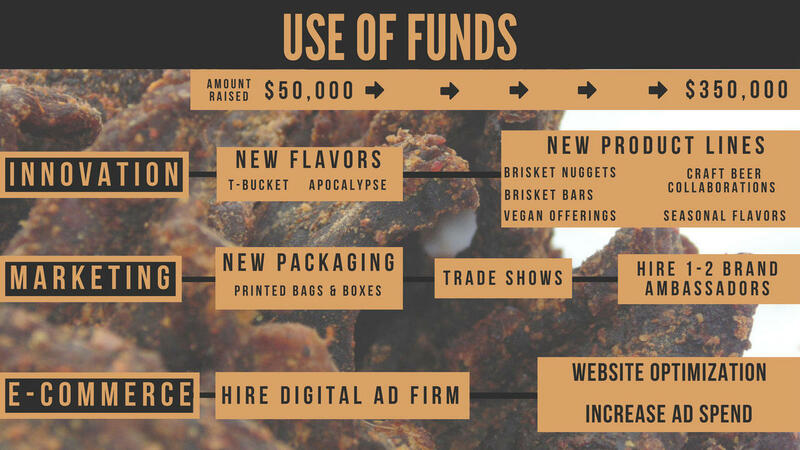 Whole-muscle jerky, like we currently sell, makes up the bulk of the jerky market, and is overdue for a competitor from the Lone Star State - and we don't think we're just any company stamping TX on our bag for bragging rights. Our story is authentic. We’re based in Texas because we live in Texas. We started out buying beef from Texas ranchers, and created jerky with flavor as big as the Lone Star State itself, which we sold in Texas farmers markets to get started. As we grow, we plan to utilize our authentic Texas roots more and more in our branding, and we definitely see it as an asset. Van Cleave Dry Goods has financial statements ending December 31 2018. Our cash in hand is $35,323, as of December 2018. Over the three months prior, revenues averaged $32,003.97/month, cost of goods sold has averaged $6,173.68/month, and operational expenses have averaged $9,945.63/month. VC Dry Goods hopes to be a national snack food brand, known for pushing the limits of flavor and innovation. We currently specialize in beef jerky, but that’s just the start. We hope to expand beyond that into different areas of the meat snack segment first, then into other snack categories where we can have a disruptive impact. We also hope to create a small production facility of our own so that we can get really creative with smaller batch/seasonal flavors, and impact the segment even further. Van Cleave Dry Goods LLC was incorporated in the State of Texas in February 2014. Sold in 300+ locations, including Total Wine & More, Albertsons, United Supermarkets/Market Street, among others. Distributed through UNFI, largest natural foods distributor in the nation. Met with Walmart and Target. Both have already expressing interest based on samples given, and we are expecting to be set up as vendors shortly. Entered into licensing agreement with Valiant Comics to debut cobranded beef jerky with release of Bloodshot movie feat. Vin Diesel. Revenues & Gross Margin. For the period ended December 31, 2018, the Company had revenues of $168,855 compared to the year ended December 31, 2017, when the Company had revenues of $109,012. Our gross margin was 142.11% in fiscal year 2018, compared to 178.75% in 2017. Assets. As of December 31, 2018, the Company had total assets of $100,709, including $35,323 in cash. As of December 31, 2017, the Company had $21,891 in total assets, including $8,815 in cash. Net Income. The Company has had net income of $21,660 and net losses of $41,993 for the fiscal years ended December 31, 2018 and December 31, 2017, respectively. Liabilities. The Company's liabilities totaled $47,333 for the fiscal year ended December 31, 2018 and $38,747 for the fiscal year ended December 31, 2017. To-date, the company has been financed with $46,610 in debt and $80,500 in equity. Van Cleave Dry Goods LLC cash in hand is $35,323, as of December 2018. Over the last three months, revenues have averaged $32,003.97/month, cost of goods sold has averaged $6,173.68/month, and operational expenses have averaged $9,945.63/month, for an average net margin of $15,884.66 per month. Our intent is to be profitable in 3 months. Our sales have increased steadily since the date that our financials cover. We have increased our online revenue and received several reorders from existing customers. 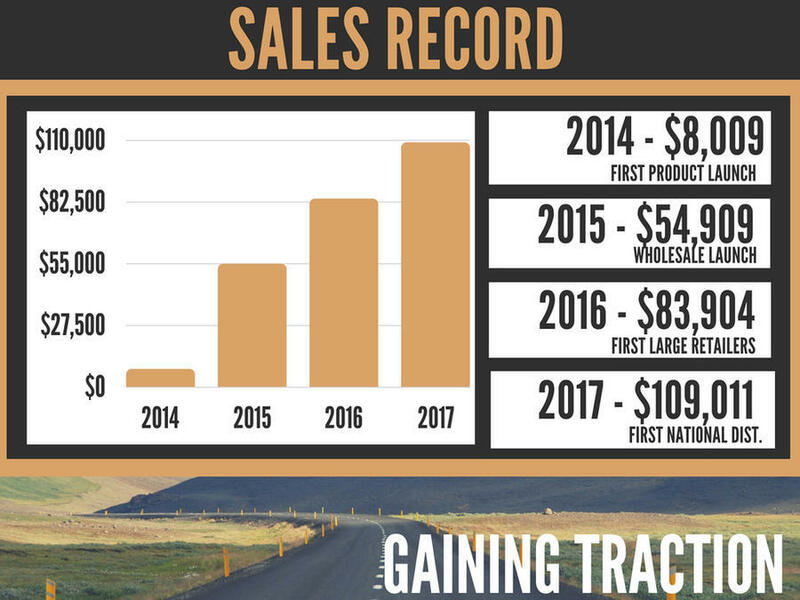 We expect this trend to continue throughout 2019 because we are working with larger companies with larger numbers of stores. We expect revenues to increase, as well as COGS in line with the additional volume. Thanks to our Wefunder investors, the money raised has allowed us to successfully launch in the Albertsons Southern Division. We are also currently in talks with several other divisions of Albertsons/Safeway and Walmart. We are expecting to close several of these deals, so we expect sales to increase accordingly. There is a risk with regard to the beef market and the supply of other ingredients. Beef prices fluctuate, and may have an impact on profitability. We plan to minimize this risk with proper forecasting. However, market factors that are beyond our control may lead to increased volatility and unpredictability. 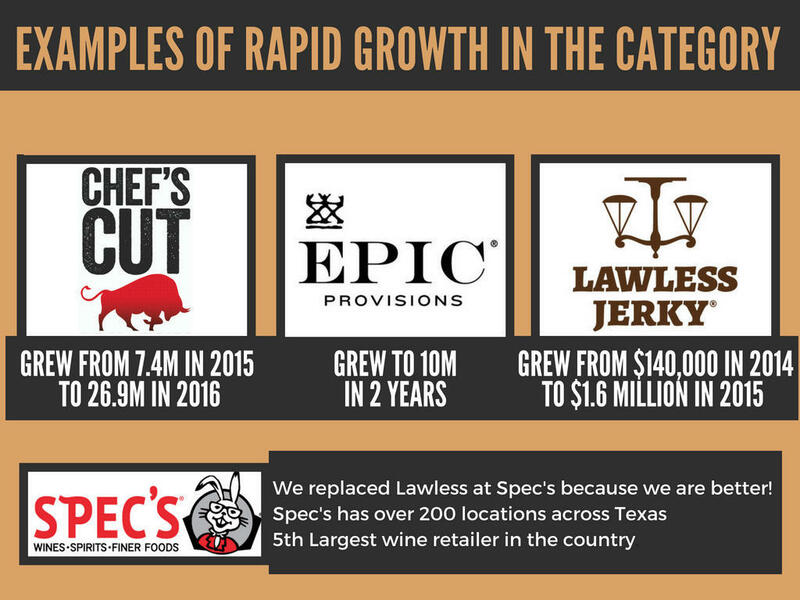 The meat snack segment, in which Van Cleave Dry Goods currently operates, is a highly competitive market, where competition risks are significant. To succeed, Van Cleave Dry Goods must be able to respond quickly to changes in consumer preferences. Van Cleave Dry Goods will work to create products that anticipate market shifts and consumer demand. Projections provided by Van Cleave Dry Goods, while based upon existing or expected relationships, are wholly speculative. Van Cleave Dry Goods does not warrant and makes no assurances or guarantees that projections will be realized either in timing, magnitude or duration. Actual events will influence management's financial decisions regarding allocation of monies raised in this offering. Van Cleave Dry Goods maintains a significant amount of product liability insurance. While no claims have been made or currently exists against the company, Van Cleave Dry Goods is at risk of product liability suits being levied. Such suits could have a materially negative impact on the future viability of Van Cleave Dry Goods. Van Cleave Dry Goods' revenue is highly dependent on direct consumer sales and sales to retailers. Global and/or national economic disruptions such as a recession, terrorist attack, natural disaster, etc. may severely impact Van Cleave Dry Goods' revenue. Beef diseases that could cause panic in consumers, like mad cow disease in the 90s and early 2000s. Such an outbreak in the beef market would cause sales to drop out of consumer fear. Carmen Van Cleave, Laura Jimenez, and John Van Cleave are part-time officers. As such, it is likely that the company will not make the same progress as it would if that were not the case. The company currently has more liabilities than assets. If the company closes down now, it is unlikely that any capital will be returned to investors. We first offered $3000 for 1% ownership of the company (100,000 Class A units). When he offered to purchase 10% of the company, we negotiated the price to $2700 for 1% ownership. He purchased the 10% (1,000,000 Class A units) for $27,000. Alberto paid $7500 for 2% ownership of the company (200,000 Class A units). Harold and Laura paid $4,000 in exchange for 2% ownership of the company (200,000 Class A units). We offered $3000 for 1% ownership of the company (100,000 Class A units). She purchased 4% of the company (400,000 Class A units) for $12,000 total. Being a Certified Financial Consultant, and building on my managerial practices and day-to-day interactions with clients, suppliers, business owners and dealing with the different cases as a problem solver and a go-to-person for business solutions. I studied, analysed, planned, and supervised a variety of tailored, best-fit, and straightforward financial business solutions for corporates interested in re-structuring their business, setting smart policies & procedure, and having the right person in the right place. Selecting and Developing Executives, Politicians, & Public figures became one of my daily tasks and passion. 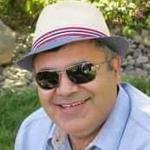 Understanding the Business Psychology during my endeavour, and being passionate to learn more about how to deal and how to read people’s behaviours, I became a Certified Master Practitioner of Neuro-Linguistic Programming (NLP) from the National Federation of Neuro-Linguistic Programming (NFNLP – USA) and a member of the American Psychotherapy Association. Influenced by John Maxwell and based on his leadership positions and experience, I delivered many speeches and training on leadership to young leaders and managers. Adopting the continuous improvement model, and connecting with like-minded people, I identified opportunities and used my skills and certification to position myself as a coach to many motivational speakers who benefited from my advices and coaching sessions to improve their linguistics and body language skills. In addition, I coached Medical Doctors, Dentists, and other health related practitioners on dealing with patients and keeping them in a positive mind-set. Throughout the years, understanding human behaviour patterns, decision making process, and their relationship with Leadership and Motivational skills, became my main concern and competitive advantage. Hi! I am Loukas Theodorou. The jerky is delicious and I am excited to see it grow. I look forward to meeting you all at the BBQ. Congrats on the raise! Hi and sorry for all the empty spams I was trying to figure out how this worked. But anyways I am Billy Hennessy and I am 16 years old. Sorry I wasn’t able to invest as much as others but i did what I could. This is my first company on this site. I am very excited and I really have faith in this company. Thank you. We are excited to be a part of this fundraiser campaign! Thanks for vouching for Adam Van! If you'd like to invest in Adam Van, please open an account. We'll waive your fees if you do it now. We asked Adam Van for 10 personal references. Can you vouch for Adam Van?